The placement of impulsive Mars in the 3rd house of the natal chart of the native has a profound impact upon the communication and mind of the individuals. Such people are blessed with an active mind but it can also make them too aggressive at times. They are too much involved in debates, discussions, and arguments as they get great pleasure in defeating others and proving themselves right. With the presence of Mars, the individuals are likely to develop an offensive speech and hence hurt other people with their harsh words. Such people have a tendency to speak without much consideration and thought. What other people find difficult to perform, these natives handle it with ease. When Mars is in the third house of career then it makes the individuals capable of achieving success in the field of law or politics. These individuals possess too much courage which makes it possible for them to achieve huge recognition in their chosen field. The energy provided by planet Mars sometimes act dangerous as it makes the natives restless and also prone to accidents and fatalities in the young age. The natives are likely to have a cordial association with their siblings and also with the immediate family. Presence of Mars acts as a source of inspiration for the individuals. Arts and designing are some of the fields, towards which the natives are strongly inclined because of the strong impression of Mars. The placement of Mars in the 3rd house of the male natives makes them dominating and influencing as they have a profound influence on their family members and friends. They many a time act quite forceful on others. 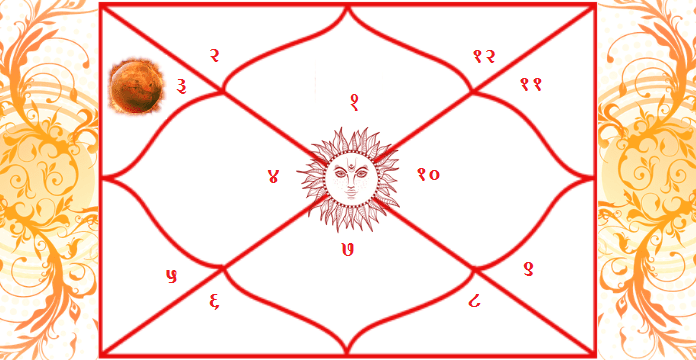 The positioning of Mars in the 3rd house of the female natives makes them over-sensitive. It is essential for them to avoid taking things personally. They are energetic, active and alert while dealing with people. Such individuals should channelize their energy properly to get better outcomes. It is likely that they might face certain issues with their siblings. These people express themselves in a highly enthusiastic and lively manner. Because of a short-tempered behavioral trait, the individuals are likely to spoil their relationship with their friends and relatives. It is extremely necessary for them to keep a check on their anger and mood while dealing with people. 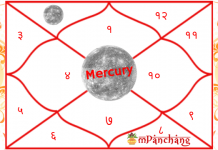 Presence of the planet in the third house makes the native independent and blesses them with the ability to make huge money and get recognition in the field of the police force or in the field of sports. To get the positive impacts of the planet Mars, the natives should be a little attentive, be soft-hearted and also worship Lord Hanuman on frequent basis. 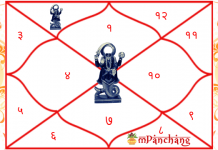 To know the importance of Kundli and to get your Janam Kundli Analysis, talk to an expert and professional astrologer! 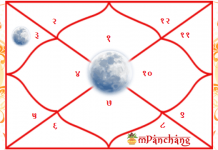 Effects & Remedies when Mars in 2nd house of Janam Kundali.